The PlayStation Vita isn’t doing all that well in regions that aren’t called Japan. Though sales were bolstered by the system’s native integration with the PlayStation 4, the handheld’s momentum has shrivelled. 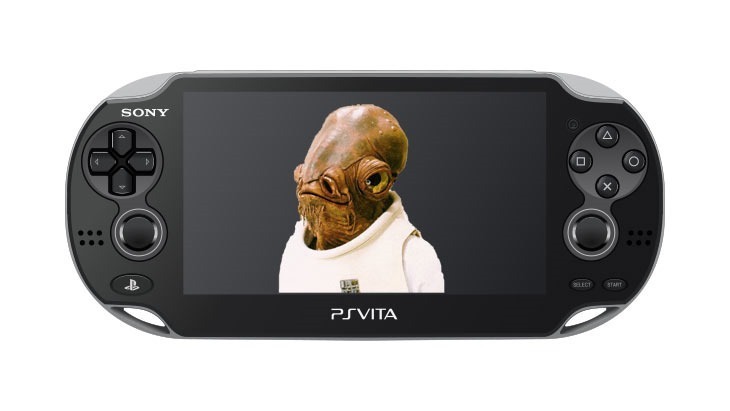 That changes now, as two games are being released this week that’ll have gamers flocking in droves to pick up a Vita. The first is PlayStation Vita Pets, which lets you take control of creepy talking dogs as they urinate against trees and wear festive jerseys. It’s out on the PlayStation Vita today, and allows you to live out your fantasies of dressing dogs up, and using exciting Augmented Reality technology to play with a virtual dog in your real-life garden. The other is likely to be the most exciting game to hit the PlayStation Vita since the system was first released. At least, that’s true if you happen to get really excited for agriculture. Yes, Farming Simulator 2014 has finally found a home on handhelds, hitting not just the Vita, but also the 3DS – so there’s no need for Nintendo fans to feel left out of this momentous occasion either. Farming Simulator is a a perfect fit for handhelds, because the very first thing you want to be able to do when you’re commuting, or able to break away from your desk is pretend to do something mundane. Here’s what the press release says, in the hopes of getting you excited. In Farming Simulator 14 on 3DS and Vita you face the challenges of a modern farmer, and raise livestock (cows), grow crops, sell produce and manage and develop your own farming complex in a vast and colorful world. As you progress in the game, you will unlock a vast array of new machinery and agricultural vehicles that have been faithfully reproduced from actual vehicles from major manufacturers such as Case IH, Deutz-Fahr, Lamborghini, Kuhn, Amazone, Krone and many others. I joke, but the last version of Farming Simulator sold over 2 million copies across the platforms it was released on, so people are playing this stuff. I wonder if there’s still time for me to a get a refund on my own Vita? April 2019 video game release schedule – Remasters, Freakers and MORTAL KOMBAT!